location or at our state of the art facility in East Brunswick, NJ. microfilm, drawings, videos, slides and photos. back-up, cloud storage, portal display, and retrieval. 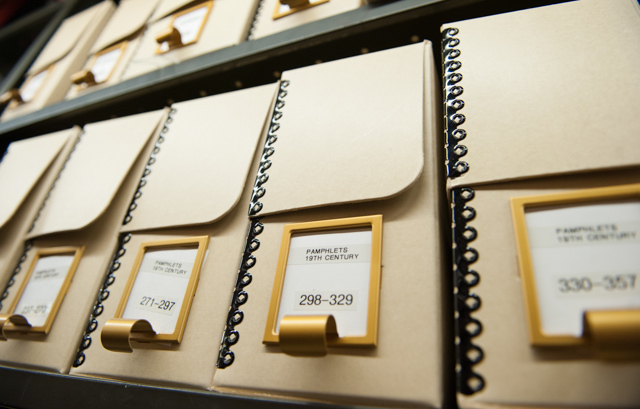 Let us help you move your archives, library, paper or files and get with the times and go paperless! items in the library's collection to be digitized. Innovative Document Imaging is a world leader in document imaging and document management solutions. IDI maintains a state-of-the-art document conversion facility in East Brunswick, New Jersey. Our company mission is to supply the best service possible at a reasonable cost for the digital conversion of paper documents, newspapers, maps, books, bound materials, microfilm and microfiche. Below are some of the formats we digitize. If you don’t see it below please give us a call. Imagine having all your content at your fingertips. Anytime. Anywhere. 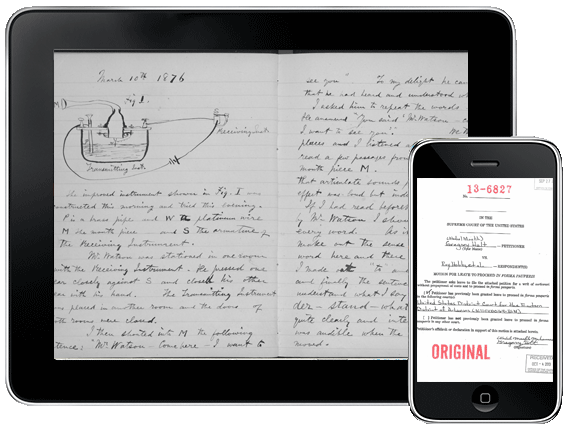 Imagine having access to all your notebooks, records, and documents wherever and whenever you want. Stop being tethered to your office. Be free. We can bring our state-of-the-art conversion equipment to your location & perform 100% of the conversions right there, on-site. Or we’ll come collect your materials & bring them back to our state-of-the-art facilities in East Brunswick for conversion. Either way, we will come to you! In theory, everything (before) was accessible, but you had to come to New York to see it. So the big difference for us now, is that really there is no limit on who can come to the archives and make use of them. These collections are being digitized into a product where they are including other collections, similar collections, from repositories all over the world. So by indexing & making them searchable, it really gives such a great context, a very rich context, for our collections, when you see it along with all these other collections all over the world. For the researcher, that’s just indispensable.